Rescue operations were launched immediately, and all four extricated and taken to the next nearest post on foot, but three of them - Havaldar Kamlesh Singh, 39, Naik Balveer, 33 and Sepoy Rajinder, 25 - succumbed to their injuries. 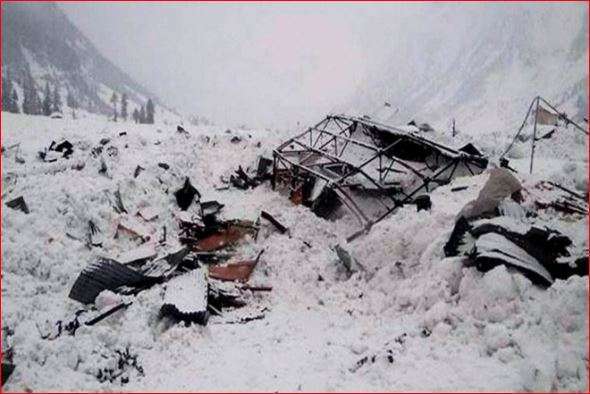 Three soldiers were killed on Friday when an avalanche hit their post near the Line of Control (LoC) in Jammu and Kashmir's Kupwara district. Defence Ministry sources said the incident took place in Machil sector around 11.20 a.m. when four soldiers of a patrol came under the snow. Rescue operations were launched immediately, and all four extricated and taken to the next nearest post on foot, but three of them - Havaldar Kamlesh Singh, 39, Naik Balveer, 33 and Sepoy Rajinder, 25 - succumbed to their injuries. All three hailed from Rajasthan. The LoC divides Jammu and Kashmir between India and Pakistan.